Individual flash heads can be controlled either individually or in groups from the Comander, which fits onto the camera hotshoe. 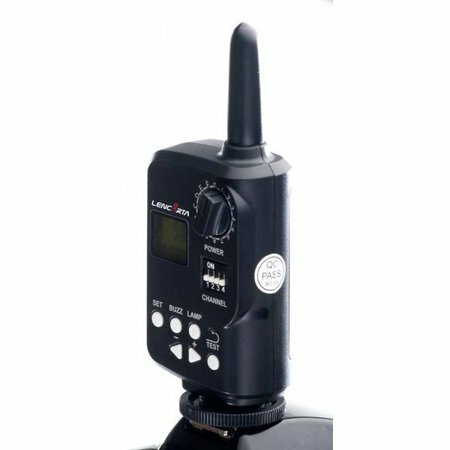 The Commander can also adjust the power in 1/10th stop increments, turn the modelling lamp on or off, turn the beep on or off and test fire the flash. Please do not buy this Commander unit unless you also have a Receiver, it cannot be used without it. The Atom flash heads do not have modelling lamps, and adjust in 1/3rd stop increments. The Safari 2 also adjusts in 1/3rd stop increments.